Fatcow performs really well if you’re looking for a simple, easy to use web host. Their best feature is that you can easily get in touch with someone if you need help on something. However, if you’re looking for more advanced features (i.e. daily backup, shell access) then another host like Bluehost or Dreamhost might be your best option. 1. What to expect when you sign up. 2. Results of data-based tests on our Fatcow hosted websites. 3. How Fatcow compares to other web hosts. Part 1: What To Expect When You Sign Up. These aren’t essential in any way. The first item on this list, “WP Essential“, is just the WordPress application (which you can easily install for free on your own) plus a few free plugins. The only useful thing in this list is “Daily Backup” service to backup your website daily. However, other hosting companies (like Godaddy) offer this service for free. Once your account is set up, you’ll be taken to the control panel. The layout is simple, clean and easy to use. It’s almost identical to the control panel used by iPage hosting (they are owned by the same company). Everything is easy to find, but for the most part you’ll likely be using only two icons: Domain Central (for adding/transferring domains to your account) and ‘WordPress‘. If for any reason you use another CMS like Joomla, Drupal or eCommerce applications like Zen Cart, you will download them all from the same place. Yes, in the last few months Fatcow has changed their WordPress installation so that you are taken to Mojo Marketplace. The reason is simple: Mojo will install any application you want it to for free. But, while you’re there, they want you to purchase items from the marketplace. They seem to mainly focus on premium wordpress themes but also offer logo design services. The themes themselves seem to look good, but I tend to use free themes whenever possible. In other words, the Mojo Marketplace is easy to ignore. However, once you install wordpress on your new website (to be fair the installation speed is amazingly fast!) you will need to uninstall “Mojo Marketplace” from your website. A few days after your install, you will get a phone call from a Fatcow representative to see how you’re doing. The secret reason that they are calling is that they want to set you up for more services. But after having gotten multiple calls, the representatives were actually very kind, and offered to help you out with any problems you might be having before they even offer anything. If you’re relatively new to this, this phone call may end up saving you time. – Humorous cow puns lighten the mood, but aren’t so prevalent that you have trouble navigating their website. – Forcing the “Mojo Marketplace” on you. Fatcow definitely wants to upsell you on services. – Complex services like backing-up your website(s) cost extra (this is extraordinarily useful if you accidentally break your website, or if your website is hacked). This is where we get into the real hard data about Fatcow. We conducted tests on 15 websites hosted on 5 different hosting accounts with Fatcow. We tested 1. Server Response Times and 2.Customer Support Response Times. Here we used tools like Websitepulse to test server response times. This is how quickly the server that holds your website will respond to a request. We checked hundreds of times, at different times of day, and then averages out those numbers. The numbers in this chart are in milliseconds (ms). The difference of 20-30 milliseconds isn’t much, but it was consistent across hundreds of tests of these four hosts. The difference between these four hosting companies isn’t enough to significantly impact your Google ranking (SEO), or end-user experience (your website’s speed is much more important). So it’s up to you to decide whether Fatcow’s more budget friendly price is worth the few milliseconds in response time. After our five tests, the average answer time was 27.4 seconds. This is the fastest phone response time of the five hosts. This is definitely Fatcow’s shining strength. One caveat we should make is that these tests, as extensive as we tried to make them, are a small sample size. We tested five Fatcow servers, out of over 10,000. So while these tests are much better than anecdotal evidence or case studies, they are limited in how small they are. We tried to be as extensive as we could. Fatcow is cheaper than the other hosts we compared them against: Bluehost ($6.95/month), Dreamhost ($8.95/month) and GoDaddy ($9.99/month). That being said, Fatcow held up pretty well in our comparisons. The server response times were slower (by a little), but the customer support was much better (and faster). If you’re looking for a really good web host that is easy to use and easy to get in touch with someone to help, Fatcow performs amazingly well. If you’re looking for more advanced features (daily backup, shell access) then a Bluehost or Dreamhost might be your best option. Disclosure: to help offset the cost of the multiple hosting accounts we created, we have set up affiliate links to Fatcow on this post. The affiliate links do earn us a small commission if you click through from this website and sign up with Fatcow. However this affiliation had no effect on our review, or on the outcome of these tests. Fatcow had no idea we were conducting these tests. All The Black Friday/Cyber Monday Hosting Deals! 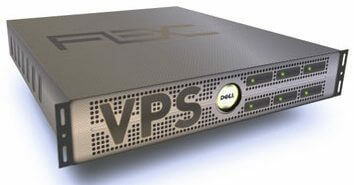 Is VPS Hosting Worth It?